At this year's A4UExpo I met an affiliate who was returning to the industry after a few years off. After giving him the “we’re now calling it performance marketing” memo, I then asked for his first impression of the show, the answer: “there’s a lot more suits these days”. This, in a nutshell, describes the change that many of us have witnessed over the last few years. Google’s highly effective assault on affiliate marketing has virtually obliterated the ability to make money from simply running a network of exact match domain (EMD) sites. The increasing complexity of Google's ranking algorithm is putting a huge time strain on the average affiliate. Combined with the growing importance of regularly interacting on social media and it’s a wonder that we find the time to sleep! These pressures have caused some affiliates to quit the industry altogether (or go the agency/merchant route) and those of us remaining are quickly realising, if they hadn't already, that it's all about developing a sustainable, long term, project. While you might still make a ‘quick buck’ with an EMD site promoting this year’s must have product, you also know it's unlikely to keep you going for long. I know that some affiliates now find events like A4UExpo either too expensive and/or too full of agency types, but I feel the increasing complexity of the industry makes such events a 'must attend'. Also, these aforementioned agencies spend considerable amounts of money and time on analysing ranking factors and developing useful new tools. Without an event such as A4UExpo it's unlikely that us, mere, humble affiliates would ever have access to their findings. In terms of reviewing the specifics of this year’s A4UExpo, it seems logical to start with the pre-event networking party. Compared to previous years, this seemed to be a relatively quiet affair - perhaps, in part, to being held down in Southwark on a rainy evening. Given that people are encouraged to stay at the Hilton, it would be seem more polite (and practical) to hold it somewhere closer to that. Hopefully next year they'll consider this, I remember some of the best pre-event parties from yesteryear were those held in the Novotel (the official hotel) bar. While on the theme of boozing, I’d like to give kudos to Matt and team for this year's main networking event at Jewel in Piccadilly Circus. They wisely decided to get people to eat beforehand, rather than repeat the ‘food riots’ (slight exaggeration!) of previous years. I’m guessing this also meant they had more budget for the free bar which was very generous and still going when I left at midnight. It was a great evening and I think perhaps a template for future years – ultimately people just want a bit of drink, a bit of dancing and a quiet place for chatting – all of which were done well this year. Those following the #a4uexpo hash tag on Twitter will have seen me doing a lot of tweeting on my only-used-at-expos @geoffblog account. Hopefully some of the tips, tricks and links I tweeted were helpful and obviously full credit goes to the presenters. I found the sessions this year to be good, although again it did seem a bit quieter – either that or the rooms were just bigger! I don’t find the panel discussions, other than the ‘fun’ ones, to be overly useful. That's probably because I’m looking for tips and tricks I can take away and implement. If you worked in a larger organisation, or perhaps in a strategy role, then obviously these more ‘zoomed out’ discussions would no doubt be useful to you. It seemed that Twitter didn’t feature much this year, at least not in comparison to the growing importance placed on Facebook’s EdgeRank. There didn’t seem to be a lot of hard evidence on how this works, more a theory about the value of the different interactions people can have with your FB content. For example it was suggested that receiving a comment could be worth four times more ‘value’ than receiving a 'like'. In terms of sessions that stood out for me, I found the very first session of the Expo, “60 tips in 60 minutes: Social, search and conversion” by Sam Crocker, Kelvin Newman and Stephen Pavlovich, to be a great session to kick things off with. It was packed full of content and was well organised with the three speakers covering each topic equally and with a consistent style. As predicted, I also enjoyed “Consumers are socially mobile: Get your mobile search in order!” by Sri Sharma and Bas van den Beld. The session featured some ‘real life’ examples of how Google are handling mobile search, including one particular query (I think for car insurance?) that return of a result featuring lots of ads and just a single 'organic' result! Dave Naylor and Martin MacDonald did a good job with their session on the various ranking factors for search and social. In an effort to brighten up a rather grey and rainy afternoon, Dave was even sporting a handsome pair of red trousers. Again it’s best to check out the archive of tweets on @geoffblog if you're looking for any specific tips I picked up from this session. On day two I enjoyed “Turbo-charging your SEO and link-building strategy” by A4U regular Patrick Altoft and Jon Quinton of SEOgadget. Jon did a great job of showing some very specific techniques for identifying possible link partners as well as a nifty way to find your own pages that are ranking well but have a low CTR. Meanwhile, Patrick was able to cover the timely announcement of the Google disavow tool, as well as provide his usual good advice on building a decent SEO strategy. This review could go on and on, so in the interests of time, I’ll round things up by name checking a few other sessions I enjoyed. These included: “Engaging Facebook through EDGErank, content optimisation and killer apps” by Martin Belam, Kelvin Newman and Jeremy Waite. “Getting personal to drive conversion: customer behaviour meets big data” which was the keynote from Dr Mike Baxter and also “Excel Skills for SEOs” which was an enjoyable and unashamed Excel ‘geek fest’ from Richard Baxter of SEOgadget. 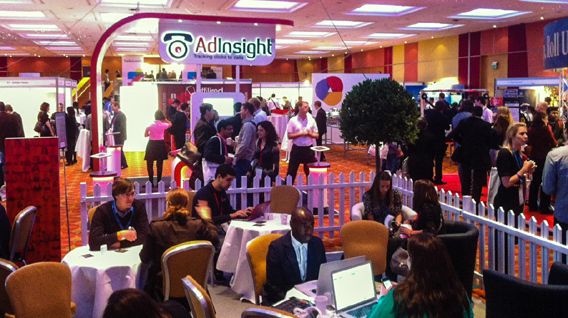 All in all, it was another good year for the A4UExpo in London. Yes it’s become more ‘corporate’ and yes some of the familiar faces might not have been there, but neither of these things should detract from the fact A4UExpo has matured in to a well organised, well run, content packed event for our industry. Agree, disagree? Spotted a typo? Then leave a comment below.